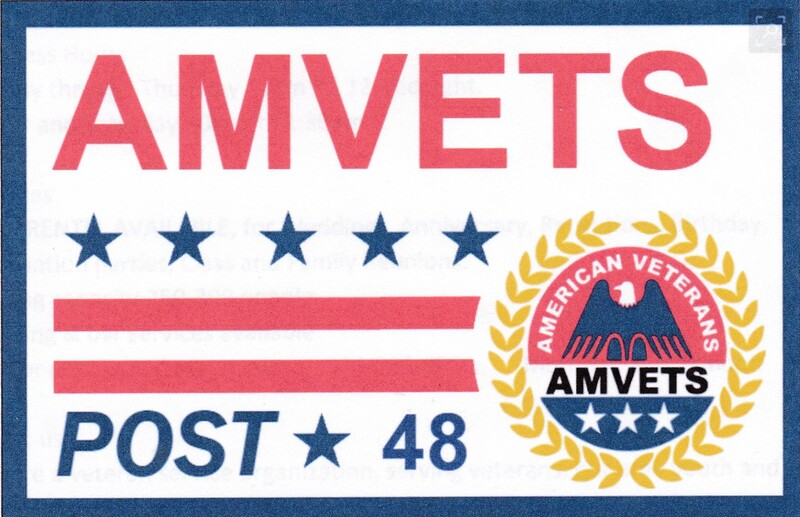 Amvets Post #48 is a Veteran Organization Serving Veterans and local youth and the Community. AMVETS (American Veterans) is the nation’s most inclusive Congressionally-chartered veterans service organization, representing the interests of 20 million veterans. AMVETS is open to and fighting for all who honorably served in the United States military, including the Reserve and Guard. With more than 250,000 members nationwide, we are veterans serving veterans. AMVETS Mission Statement: To enhance and safeguard the entitlements for all American Veterans who have served honorably and to improve the quality of life for them, their families, and the communities where they live through leadership, advocacy and services.